Chasing 221 on a warm day against Olinda, Monbulk Cricket Club’s top side was going to have to bat the 80 overs with patience to get the job done. With regular opener Aaron Birmingham late, Shane Cosstick and TJ Utting opened the batting. Utting didn’t last too long, getting a cracker that snuck through his defenses, while Cosstick gloved one trying to punish a bad ball. A partnership between Braden Taeuber (26) and Jason Fraser pushed the score along before Taeuber dabbled with a short one and was caught behind. At 3/40, Aaron Bermingham finally graced the crease and joined with Fraser for a 70-run stand to be 3/90 at tea. But shortly after, Bermingham tried to turn a dot ball into a three and was run out for 23. From there the wickets fell at regular intervals and Monbulk went down by 40 runs, with only Aaron Powell (15*) and Duncan Maher (13) putting up resistance. The two had a crushing victory against Olinda, chasing down the 174 set last week with the loss of six wickets. With runs to Brian Martin (21), Aaron Gillard (26), Tom Badgery (18) and Jett Bolton (20), the score was constantly ticking over with 30-40 run partnerships. It was the evergreen Steve Utting that took the game by the scruff, finishing on 59* in a masterclass of batsmanship. The thirds had a big win over St Johns/Tecoma, cruising past the total of 194 set by the Saints. Doing the damage with the ball was Craig Heppell (3/22) and Chris Defina (4/27). Runs were shared between Rick Lamers (17), Chris Defina (20*), Craig Heppell (25*) and Dave Williams (22). The fours had a tough day, with St Johns/Tecoma making 6/314. Wickets for the Hawks were shared. With a big job to do, B. Horlock (37) and J. Oldham (48) put together a partnership of 94 but the last seven wickets fell for 50 runs. In junior news, the Under-16s had a tough loss to Eildon Park. Monbulk made 10/84, with only Nathan Stack (12) in the runs. Eildon Park made 5/119, with Ollie Grujic (2/21) doing well with the ball. 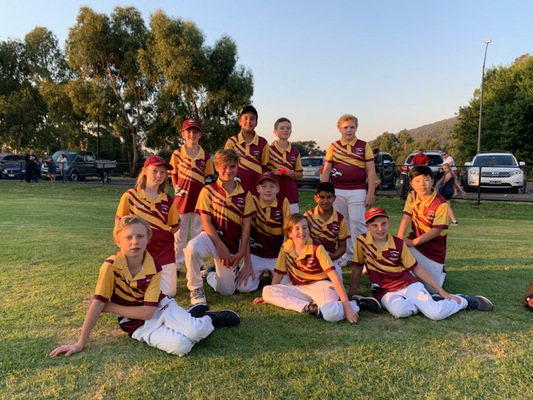 In the Under-14s, Olinda/Monbulk had a big loss to Eildon Park. Matt Abrahams made 14 with the bat in the total of 10/41, with Alex McDonald taking 2/11. The Under-13s also had a loss, going down 5/102 against Mazenod 5/112. Lucas (17*), Tim (25) and Logan (20*) did the damage with the bat, while single wickets were shared. The Under-12s had a bad loss at the hands of Upper FTG. Monbulk managed only 9/67, with thanks to Jason Abrahams (17). Xaview Hourigan (2/7) was the pick of the bowlers. The Fast 9s had a big win making 3/70, with Ethan Knight again in the runs making 13*. Sasha McIntosh took 1/5 to be the best with the ball. Monbulk had to dig deep with the bat in its game against The Basin Green. Jasper Beer top scored with 13, followed by Fergus Hourigan on 9. Monbulk bowled really well but was costly in the field. Mitchell Holder had season-best figures of 2/5 and Fergus and Harry Arnott took a wicket each. Holder has made more than 100 runs for the season.